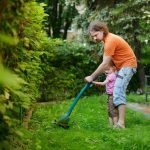 When the summer season hits, the place where you will find most homeowners in is the garden. Sweating it out under the harsh sun, people spend most of their days fertilizing, planting and trimming their backyard to show off their property. Fortunately, technology makes things easier for everybody. While manual labor is still rampant, automatic innovations are already available to give a hand on gardening. One of the gardening tools the people are thankful for is the electric weed eater. 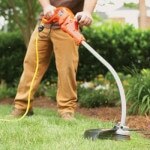 What is an Electrical Weed Eater? A weed eater is synonymous to the term weed whacker or string trimmer. It is basically a type of hedge trimmer that keeps the backyard free of weeds. It helps trim sidewalks and yards for a better view. Weed eaters are available in varied sizes and some of them are marketed for widespread use. If you choose to buy an electrical weed eater, then you will be pleased to know that you don’t need batteries, gas or oil to make them work. 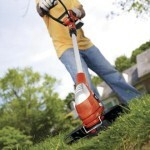 While these are not exactly as powerful as gas-powered trimmers, it is lighter and quieter when in use. 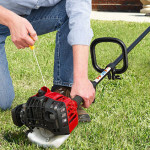 You might need to deal with limited maneuverability since an electric weed eater is dependent on a power outlet; however, this can be fixed easily with extension cords. The design of an electric weed eater features a cutting head, electric motor, speed switch, power switch, front handle, drive shaft and a safety shield among others. 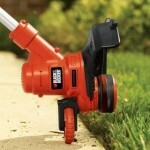 Head- a string trimmer head is composed of a chain trimmer head, a metal brush cutting head and a line or string head. The line head is made from monofilament lines instead of blades, yet they can cut through bushes and woody plants with ease. It is powered by electricity and held stiffly by centrifugal force. Electric motor- This powers the head and is connected to a power outlet. Once powered, the head kicks into motion. Most electric whackers have motors at the opposite end of the head, while there are some with motors on top of the head. Power switch- This switch is easily located at the top of the handle. Sometimes, it has reflectivity properties, so it is visible in low-light conditions. Front handle- Controlling the direction of the electric weed whacker is done with the front handle. This is where you will be holding the machinery throughout the trimming. Sometimes, it is cushioned with foam so it won’t be uncomfortable holding it for long periods. Speed switch- This switch is rather optional among electric models. This allows you to control the speed of your trimmer, depending on what you are trimming. Drive Shaft- This extendable part of the machine allows a safe distance between the user and the motorized head. The most common material used for the shaft is solid steel, which is lightweight, durable and rust-resistant. Safety shield- An important part of the machine’s anatomy is the safety shield. It keeps stones and other debris from rocketing out of the head whenever they are sucked inside. 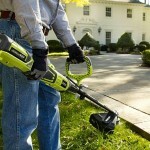 Knowing the important parts of an electric weed trimmer is crucial to maximize its use. Once you are ready to trim, make sure to plug the string trimmer securely. It would be a hassle if the power cord comes undone every few minutes. The weed whacker should be held close to the ground for a neat trim. If you are quite taller or shorter than average, adjust the front handle to find a comfortable position. A steady side-to-side motion is recommended to level the weeds. However, don’t pursue any direction. Continue forward while doing it. Remember to do the trimming in a stone-free area, since hard debris can wear out the nylon cutting thread. If you notice that some weeds are not cut even after you walked over them, consider pulling the thread out for about six inches. Do not trim to the ground since you will be wasting your nylon thread and making a big, dirty mess in the yard. Make sure to stop and rest for a few minutes if you feel a strain on your arms and shoulders. Practice always makes perfect, so don’t overdo things on your first attempt. Be sure to read the instructions as well, since these sometimes provide tips on how to make the most out of your electric weed eater.